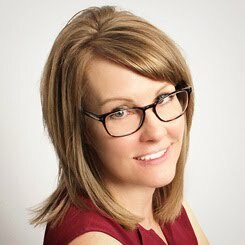 It is sooo nice to be back to blogging with my computer!! All I can say is "she is SUPER fast now" and I LOVE IT!!! The only downfall to getting all new parts in your computer is that I lost a lot of my not so important "stuff". Luckily all my documents and photos were all intact, but my email addresses and Internet bookmarks are all adios amigos...which I really cannot complain about, because I just have to enter that stuff back in~no biggie!!! 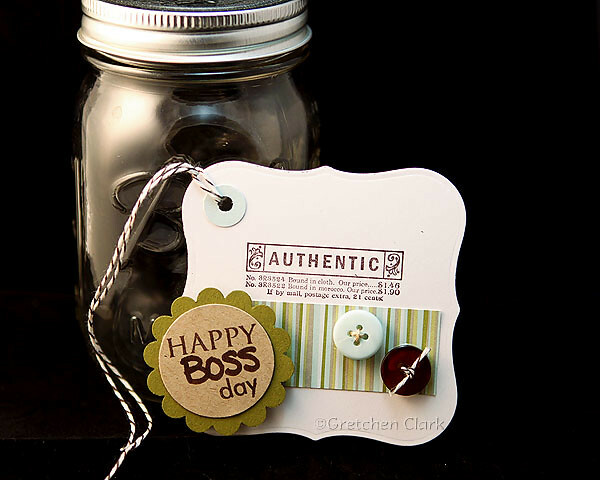 October 16th is Boss Appreciation Day (which falls on Saturday this year~kinda crazy!! ), each year I like to do something a little special for my bosses, because they are really great to work for, and really appreciate all of us in the front office. I am bringing the gifts in today, since I have Friday off (and the office is closed on Saturday, LOL!). 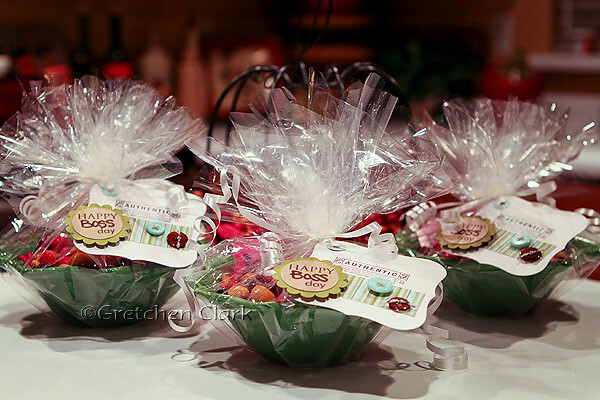 I found these candy dishes in the Target dollar spot and just filled them with some m&m's and a gift card...what is not to like??? Chocolate and shopping (2 of my favorite things, LOL!). Instead of cards, I decided to make a tag for the gifts and tie it all up with cello wrap (which makes everything look pretty IMO). Now I will look like a Hero to my boss...LOL! !